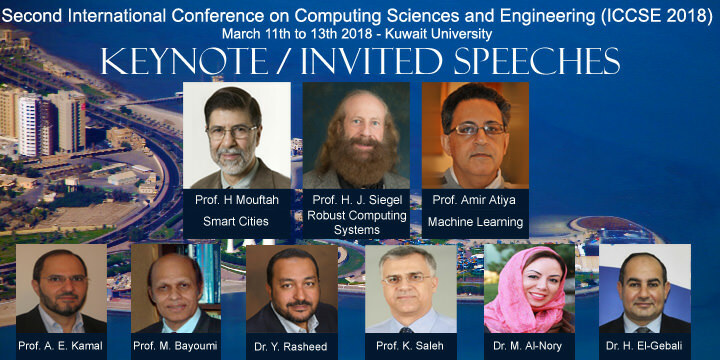 The Second International Conference on Computing Sciences and Engineering (ICCSE 2018) will be held in Kuwait on March 11 - 13, 2018. 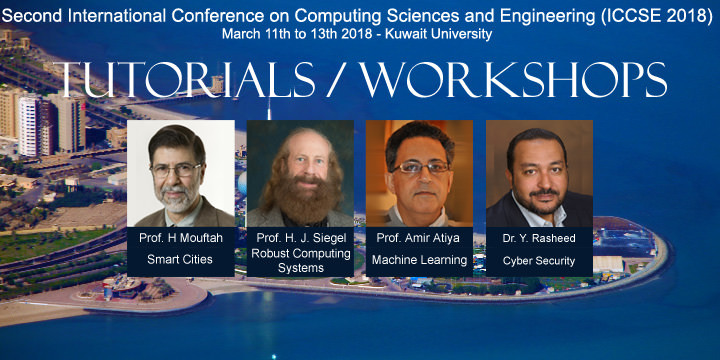 The conference aims to provide an opportunity for professionals in industry and academia world-wide to exchange state-of-the-art knowledge, research and developments in Computing Sciences and Engineering in a variety of real life applications. 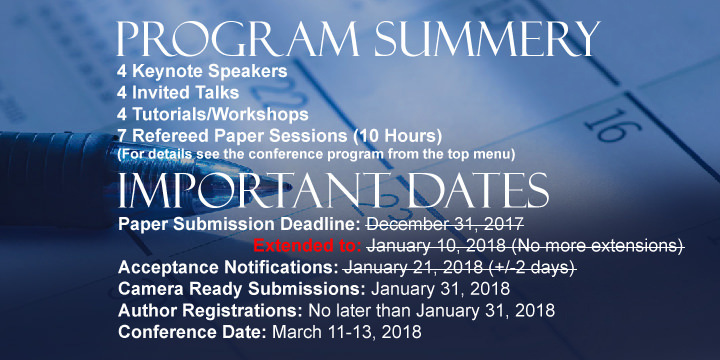 The conference will draw on the experience of its multifaceted activities (Keynote speeches, tutorials, regular paper sessions, and poster sessions) to provide its attendees global technical perspectives. The conference will also offer an opportunity for inter-disciplinary and social gatherings. 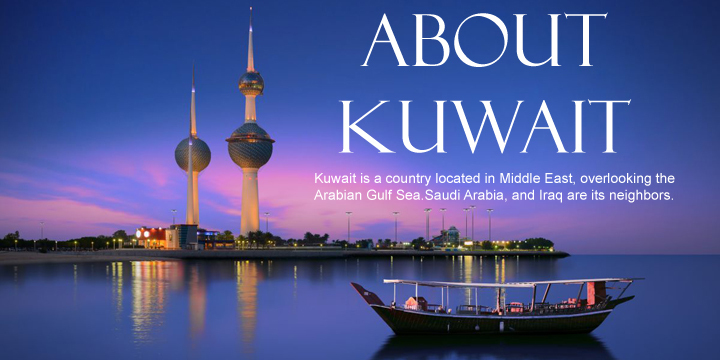 Kuwait is a modern country that attracts visitors from all over the world. Recently, it has been chosen as an ideal location to hold international workshops and exhibitions. With all the modernization found in Kuwait, traditional values and warm Arabian hospitality are observed. Kuwait is close to Dubai, Doha and Saudi Arabia. The weather during the month of March is usually pleasant and suitable for tours in the area, the expected temprature during this time is 23°C (73°F). 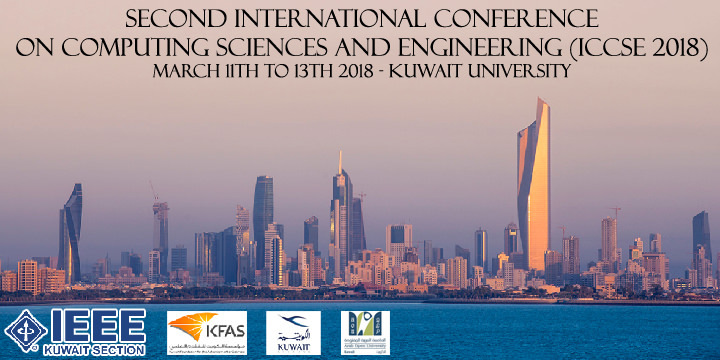 This conference is organized and supported by Kuwait University, the only state university in the country.